Serge Aurier will snub the PSG extension on table to force a move away to Manchester United, SunSport understands. The Ivorian right back is very keen to join Jose Mourinho at Old Trafford in the summer, as initial talks seem to have already taken place, and Aurier has given the the green light to the Portuguese coach. However, Manchester United will be contested by the likes of Manchester City and Barcelona in their pursuit of the £20m-rated fullback nonetheless. Although PSG are willing to keep Aurier at the club, it won’t be easy as Thomas Meunier has moved up above him in the pecking order. The disappointed 24-year-old, who still has 2 years left on his contract, seems to have his mind made up to leave Parc Des Princes and start afresh. One major factor in Aurier’s move away from PSG could be the fact that he isn’t very popular at the club, and his time in France has been quite controversial. The fullback was officially punished and suspended by the club after he was filmed smoking shisha whilst abusing the then manager Laurent Blanc and teammate Angel Di Maria. 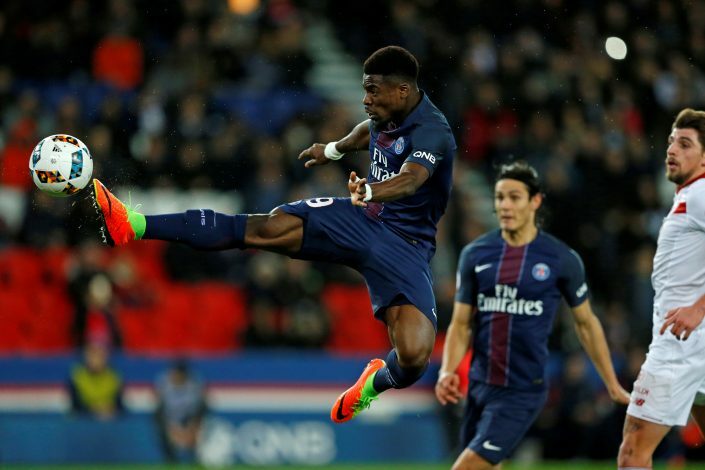 Would Serge Aurier be an upgrade over Antonio Valencia? Leave your answer in comments. Written by Shorya Panwar. Tweet to get in touch with him.